Andi’s dream of starting Crown Wealth Management began when she was still an undergrad student. She took a class in entrepreneurship with a wonderful professor. This class sparked her interest and the idea of starting her own company one day began to grow. At the time, Andi thought this future company would be in retail as she had been working in that field. However, after continuing her education taking graduate classes in business, she was discovering a growing and keen interest in finance management. It was when Andi started a job working for a financial planning company, that she quickly experienced the downside of the business of handling people’s money. Decisions were not always made in the client’s best interest. Andi was selling insurance and annuities at the time and was feeling that the company’s clients were not receiving the best care and not being advised on the most important and significant aspects of financial planning. She made the decision to start her own financial management company with a different focus, and her dream became a reality when Crown Wealth Management opened its doors in 2007. Andi worked diligently to build her business, organizing seminars and workshops at local colleges and companies to drum up leads. She watched her company continue to grow and develop, and today, Crown Wealth Management serves close to 500 households. Crown Wealth Management is unique in its focus- a different kind of financial management which incorporates the company tagline to “Live Abundantly, Give Generously.” The five important principles behind this theme are family values, intrinsic treasures, resource stewardship, engaging society and legacies of wisdom. These principles are a focus at CWM. Andi’s heart’s desire was, and still it, to come alongside clients and help them discover the true meaning of wealth- a result of sharing the fruits of their abundance with family, neighbors and community at large. Andi and her team of certified financial planners at Crown Wealth Management are continually keeping up with the latest compliance and financial information in the industry, which is a benefit to clients in receiving the most up-to-date information and best service in the industry. Andi and her team offer clients the benefit of their experience, expertise in the field, and the confidence of knowing that what is in the best interest of clients comes first and that their trust is of utmost importance. Andi is dedicated to professional growth and lifelong learning, both in her personal and professional life. She is focused, energetic and determined. These qualities were instrumental in not only helping her build a successful financial business, but also in setting personal goals. 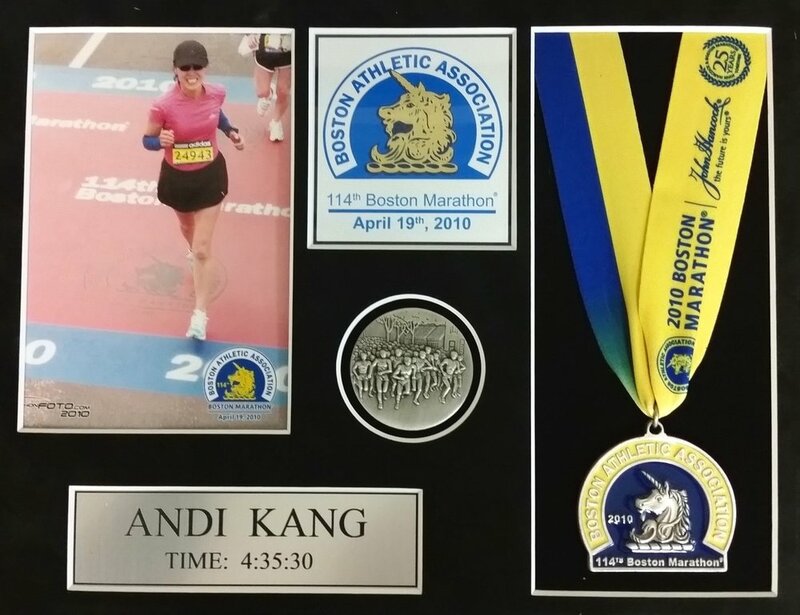 Andi ran her first marathon at age 50, and has completed over 25 full and half marathons including the Boston Marathon, and continues to train and compete in marathons today.